Own Scrolls? Give it to a friend for free! It’s the most Christmassy time of the year! For that reason, everyone who’s bought Scrolls is about to receive an extra copy to give to a friend. I’ve posted details on Scrolls.com to explain exactly how you can send it out, so go there and give the gift of Scrolls. Very festive. 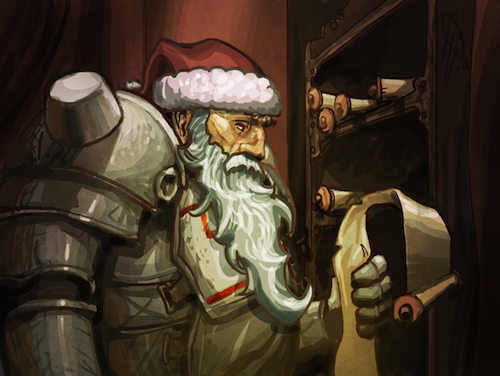 Merry Christmas from the whole Scrolls Team!